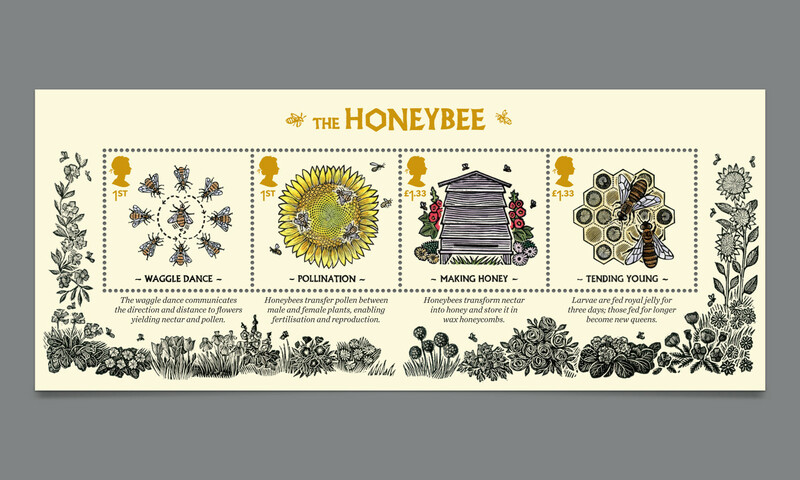 We were commissioned to produce produce a miniature sheet of four stamps celebrating honeybees. 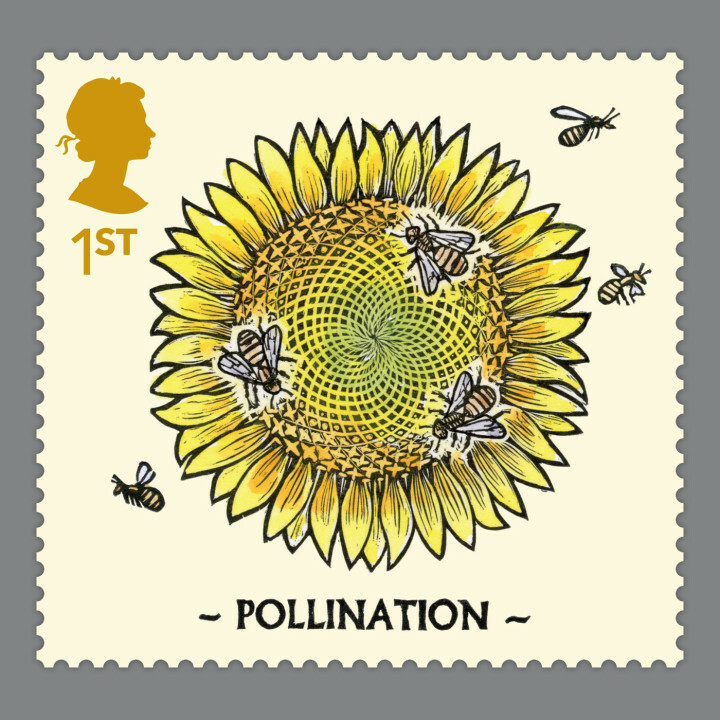 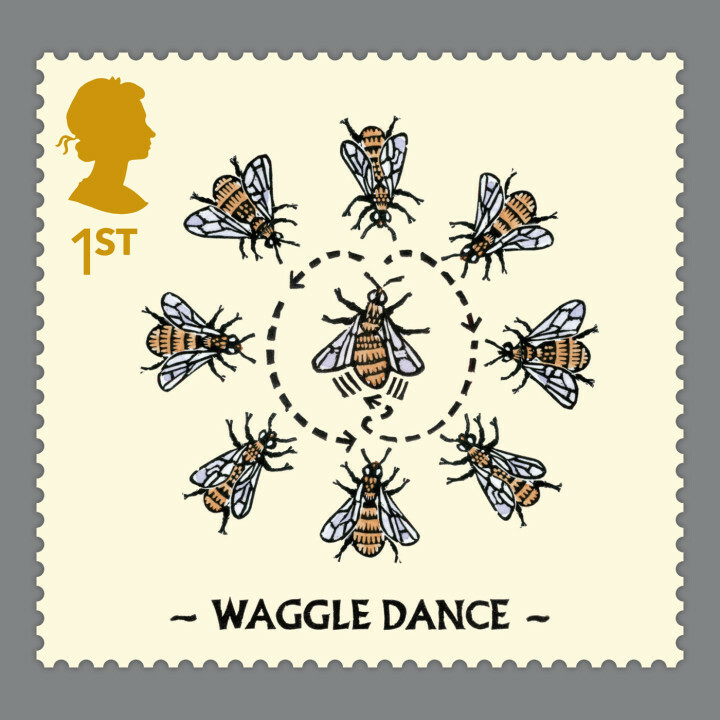 The stamps tell the story of honeybee culture, and the illustrations have a narrative feel to reflect this story. 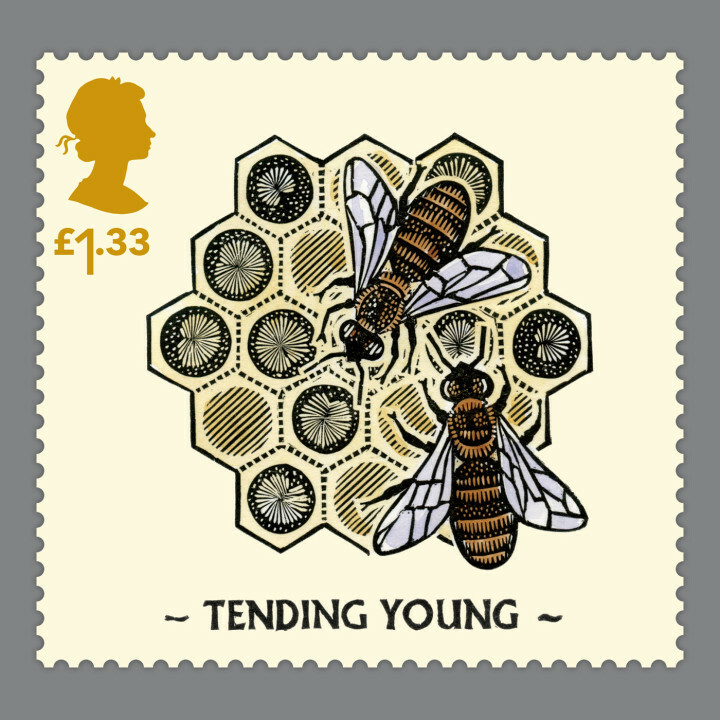 They were inspired by the language of traditional ex libris book plates and illustrated using traditional wood engraving. 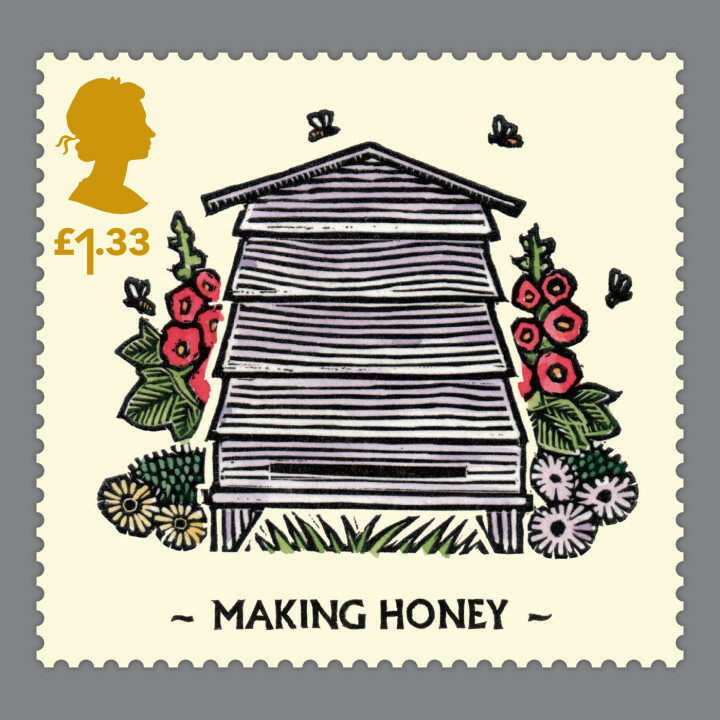 The feeling of craft was heightened with hand rendered titling, and using honey-gold ink for the Queen’s head and denominations.